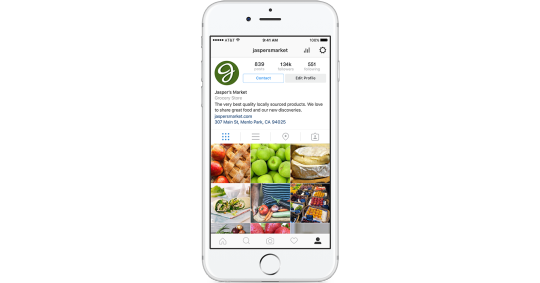 As has been widely reported in recent weeks, Instagram's rolling out new brand profiles to help businesses make better use of the platform. The new brand options have been made available to selected users in Australia, New Zealand and the US, and today Instagram made their first official announcement on the pending arrival of the new business tools. Much of the information shared by Instagram was already largely known - Later.com published a range of images of the new brand profiles and analytics tools earlier this month - but there were some additional notes and features highlighted in the announcement. "With a business profile, businesses can choose how they want their customers to get in touch with them: call, text or email with a tap of the contact button as well as get directions. Business profiles also unlock access to insights and the ability to promote." 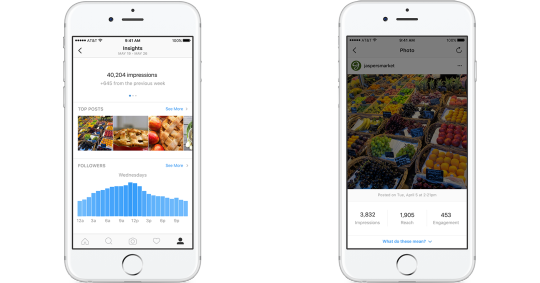 In terms of analytics, as we've reported in depth previously, Instagram's business analytics tools will provide brands with actionable insights about their followers and how they're responding to their content, all available within the mobile app. "Simply pick a post you've already shared on Instagram and add a button encouraging people to take action. You can select a target audience or allow Instagram to suggest targeting for you. After that, your post will be promoted as an ad for any length of time you choose." Though there are some additional parameters to the new features. As reported by TechCrunch, only those businesses who also have a Facebook Page will be able to use the new business options. "In doing that, it gives us the payment credentials, as well as if they want to prepopulate some of the information like their street address, the phone number, and the website"
Instagram's in-app ad tools will also be limited in terms of targeting options, though advertisers will still have the capacity to save custom audiences based on Facebook data for use within the mobile app. You can also make the switch via the 'Options' menu, with a new 'Switch to Business Account' function in the 'Account' settings. Some have questioned whether it's worth making the switch at present, especially considering Instagram's coming algorithm - the concern being that if you switch to a brand profile, your reach will automatically be limited because the algorithm will judge brand pages differently, whereas if you leave it as is, you may be able to better maintain the status quo. There's some logic to this - Facebook's theoretically able to categorize brand reach differently because the News Feed algorithm is able to differentiate between posts from Pages and profiles, but there's no definitive evidence to prove that they do so. Logically, on Facebook at least, people are going to interact with content from family and friends more than they do with brands, which is what Facebook says has lead to lower organic reach for Pages. And that makes sense, but the way people use Instagram is slightly different, with more people following more brand and publisher profiles - and either way, the algorithm won't necessarily limit your organic reach, it'll be based on user interactions with your content. But at the same time, there's nothing to definitively say that Instagram won't categorize brand profiles, and their organic reach, differently at some stage. 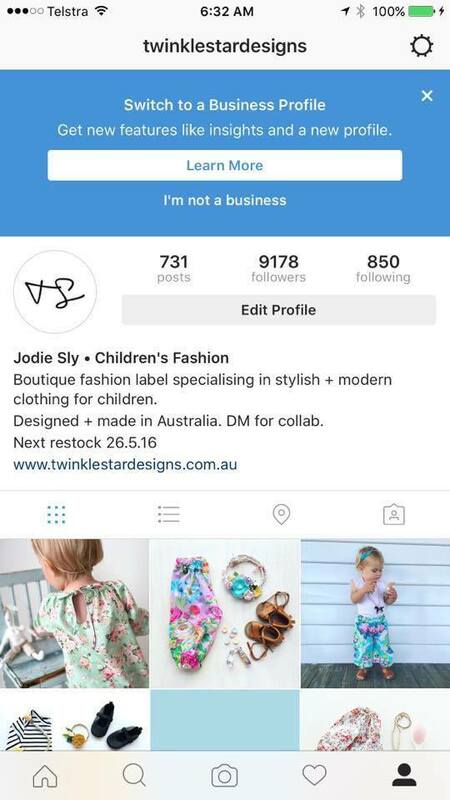 So if you do have the option, should you make the switch to a brand profile? If you do, you'll get access to all the new analytics and profile features, as well as the new ad options. At some stage, too, Instagram will likely also implement a rule like Facebook to prohibit the use of personal profiles as brand pages, so the decision may be forced upon you. But as noted, there's nothing to suggest that the coming Instagram feed algorithm will penalize the reach of brand pages, so you're likely better off making the switch when you can. The answer, right now, is not clear-cut, but the benefits of Instagram analytics will likely outweigh the potential risks of reduced reach, which, as noted, are less likely to be factored into the algorithm in Instagram. Instagram says they expect the new brand options to be available in all regions by the end of the year.